The uterus would be nothing more than a muscle like any other if it was covered with mucous membrane called uterine endometrium. The evolution of these mucous membranes is directly related to hormone production that is generated by the pituitary gland located near the brain (LH and FSH) or ovaries (estradiol and progesterone) and a smaller portion of other estrogen, by organs such as the liver, adrenal gland, breast and adipose tissue. These secondary sources of estrogens are particularly important among women at the time perimenopausal. Since puberty until the menopause, the woman knows menstrual cycles, which are in theory of a 28 days duration, but which can be sometimes quite higher. The first day of the cycle is the first day of menstruation. This date is taken into account in assessing the timing of ovulation and for calculating the number of weeks of pregnancy when fertilization occurs. Each cycle consists of various phases of evolution of these mucous membranes, caused by the production of various hormones. The first phase marks the end of the previous cycle, but especially the renewal at which a new cycle can restart. This is menstruation, commonly called "periods or menstruating". This phenomenon is generated by the sudden drop in hormone progesterone and estradiol. Mucous membranes which were greatly thickened suddenly become necrotic leading to the break more or less small blood vessels which results in bleeding of varying importance depending on the person. 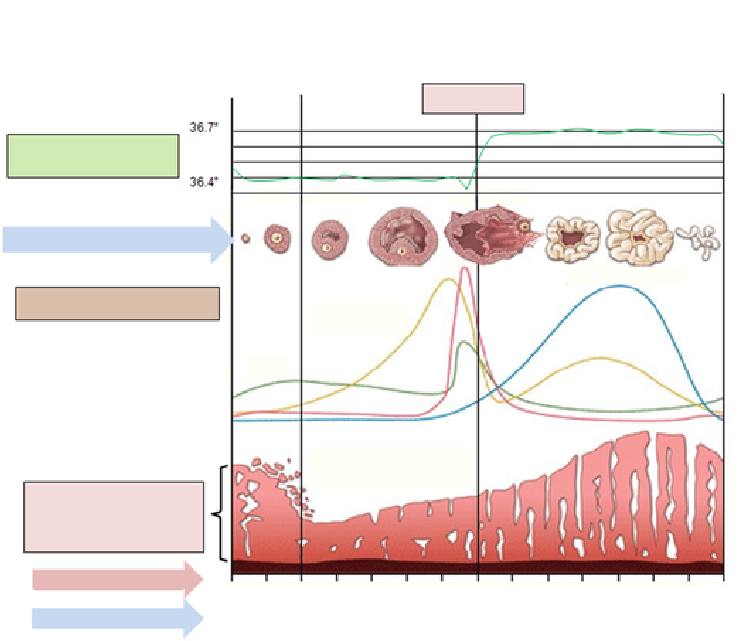 After a secretory period of four to six days on average, starts the follicular variable duration period, which breaks down into two phases: about three day of regeneration and proliferation period until the 14th day around. Then begins the postovulatory period, so-called luteal phase, fixed-duration, which also consists of two phases of about 7 days each: a transformation, then glandular secretion. It is during this last period that the endometrium will swell the most. The glands will emit a secretion and develop spiral arterioles to allow implantation of the ovum when fertilized by one spermatozoon. If there is no fertilization to day 28, the cycle begins again. The ovary is actually the organ of ova production. The egg cell does not evolve directly into the ovary, but each one is contained in a pouch called a follicle that will progress according to the woman's hormonal rises. The 700,000 follicles approximately contained in the ovaries with the birth, are present in quantity 10 times higher approximately, as of the seventh month of the intrauterine life of the fetus. They start to develop towards the six years age and can produce ovum since puberty, at the time of the first hormonal rise of the woman, until the menopause. Taking into account the average duration of the menstrual cycles at the woman, only 400 of them approximately, will thus arrive at a ripening making it possible to produce an ovule which can perpetrate the life if all the other conditions are met. Before ovulation, the follicle dominating develops in one of two ovaries, one week before the mid-cycle, due to rising hormone according to table above. It grows faster than other follicles and is preparing for ovulation. It can reach a diameter of 25 mm. It is also called Graafian follicle. During the ripening this Graafian follicle gradually filled with a gel called follicular fluid that makes it rise until rupture of the follicle wall and the ovary itself. This rupture is called ovulation and will extract the ovum out of the follicle and the ovary, and the follicular liquid that then acts as a protective Gel of the ovule. This is not there, the only reason for this follicular fluid, since it will serve as bait for the sperm on the one hand, due to the amount of progesterone that it contains, and to convey the egg in the pavilion, then the concerned fallopian tube. The ovum is also called oocyte 1 at this stage, compared to its structure as 2 nucleus it will become if fertilization. It measures while one hundred micron (one tenth of a millimeter), although it is a very large cell size, especially in relation to spermatozoon that measures only three microns. After ovulation, the amalgam of follicular fluid and the ovum is supported actively by the Fimbriae to be specifically introduced in the fallopian tube, while the ovary closes and follicle pocket remained in the ovary is gradually transformed into the corpus luteum. Its degradation produces progesterone during the second period of the cycle. This progesterone is particularly useful if there is fertilization, to facilitate implantation in the uterine mucosa 6-8 days after ovulation. 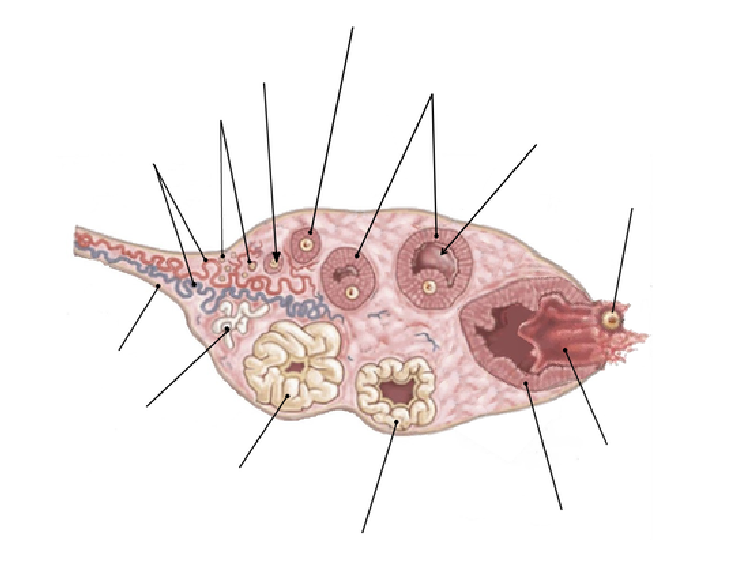 In the event of fertilization, the hormone production will continue until the relay can be made by the placenta.